Dee Wallace has achieved over 100 credits as an actor in film, television and the stage, in a career of more than 30 years so far. She is also an acting teacher, public speaker, workshop leader, spiritual healer, and author of “Conscious Creation: Directing Energy to Get the Life You Want,” a book on self-healing and personal growth. See links to her books and sites below. Below is a short Q&A email interview with brief answers by Dee Wallace. 1) On your blog, you say “You can’t JUDGE the ‘business’ or the ‘jerks who won’t let you audition’ and expect to successfully get in a room to do that very thing! Do you think many actors have that kind of “battleground” attitude? What are some other examples you have noticed in your students – or even experienced actors? How do you help others change that kind of thinking? > Dee Wallace. I help them uncover those beliefs in their way so it is easier to focus all the energy on the outcome they desire. If you are vigilantly aware of how you think/talk about the industry and the “business”, it will be blatantly clear what your beliefs are. I help uncover the harder ones. 3) In your new ebook The Big E, you talk about some common sayings such as “Up a creek without a paddle.” What may be limiting about that saying? 4) In your book Conscious Creation you talk about a production manager who wanted to advance to producing, but found rejection, lack of success and bitterness because his “intention energy” had switched to something that didn’t work. Would you explain more about that? > Dee Wallace. Saying what you want while holding energy against it doesn’t work. That is what most of us are doing with the Universe. We’re giving it conflicting directions. It’s like a director saying to me “cross stage left but don’t move.” I’m stuck. I can’t complete both directions because they cancel each other out. He was trying to become one of the very people he was judging. Can’t happen. Do you find that many young actors have multiple talents and a passion to be of service, not just “movie stars”? > Dee Wallace. Yes. I think many of our young people have been raised with a deep sense of responsibility to themselves, their country and their world. Gabrielle does the healing work with me – which is not to say she can let loose like any 20 year old! 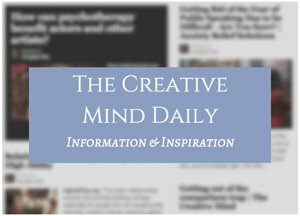 Is getting past that just a matter of rational thought, or is there more to helping ourselves be fulfilled and creative? > Dee Wallace. It all begins with loving yourself. Love Yourself – love yourself – and love yourself more. Then you choose to do what is best for you, what gives you joy, what creates happiness and freedom in your life. When you do that, you have to serve others – because it is Truth. Her book: Conscious Creation: Directing Energy to Get the Life You Want. 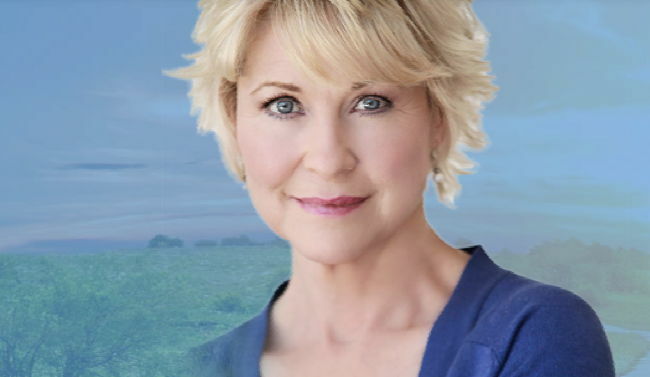 Dee Wallace on acting passion and limiting beliefs.